UPDATE (June 4. 21, 2012): The source for the photos has been identified as a mid-fifties “Ebony” magazine. 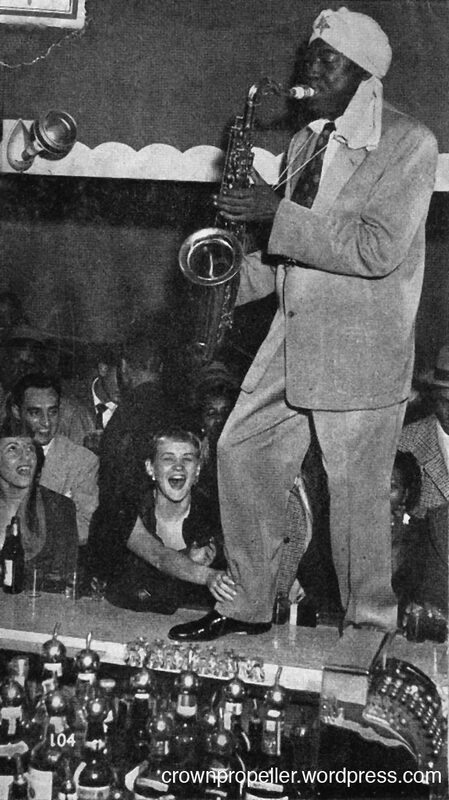 I know some of you have – as I do – a faible for idiosyncratic r’n’b saxophonist Lynn Hope. 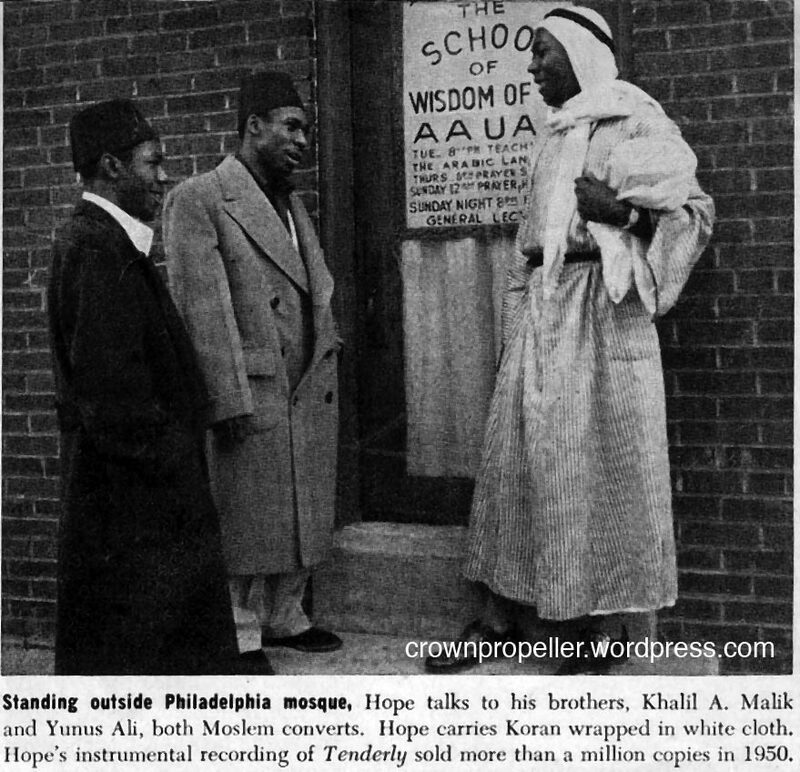 Hope was born in Birmingham, Alabama on September 26, 1926 and nobody seems to know what ever became of him (or do you?). Down in Otto’s archives I found some gorgeous photos of Lynn. These were published in an unidentified publication – which therefore is also undated. I decided to present them here. Originally there were more than these four photographs – but they were on the respective backsides of these photographs, and I do not know how to get rid of the glue. If someone has these, I would be glad to get a copy from you! Also: Does anyone know the original publication? This entry was posted on September 17, 2011 at 1:18 pm and is filed under documents, R'n'B with tags jazz, Lynn Hope, Vintage R'n'B. You can follow any responses to this entry through the RSS 2.0 feed. You can leave a response, or trackback from your own site. Thanks Niko! That’s very interesting! It seems Lynn Hope passed in 1993. Services were held Friday for El Hajj Abdullah Rasheed Ahmad, well-known jazz musician and orchestra leader who was famous for his trademark turban. 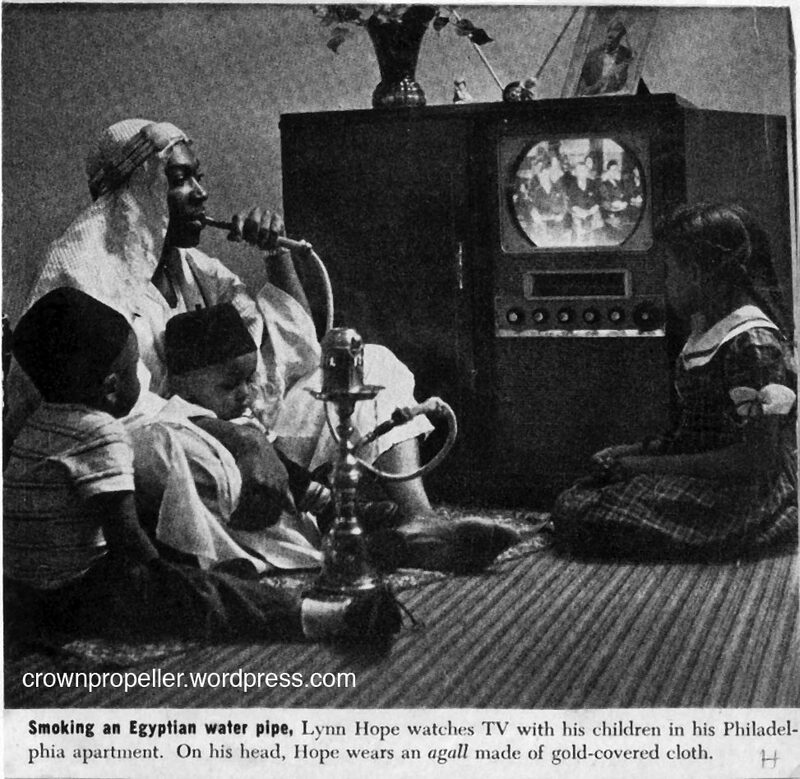 Ahmad, whose original name was Lynn Hope Jr., died Feb 24. He was 66 and lived in Collingswood, N.J. THANK YOU EVERY ONE WHO ENJOYED MY FATHERS MUSIC. i AM LYNN HOPES SON THE ONE IN THE PHOTO SITTING BETWEEN HIS LEGS . I AM 62 YEARS OLD NOW . MY FATHER INDEED DID PASS AWAY ON FEB 24 1992. IN COLLINGSWOOD,NJ. MY SISTER IN THE PHOTO PASSED AWAY .MY BROTHER WHO IS 1 YEAR OLDER THAN I BOTH BECAME NURSES.WHEN I LISTEN TO MY FATHERS MUSIC IT MAKES ME .CRY SOMETIME. I MISS HIM SO MUCH. THANK YOU EVERY ONE .MY NAME IS YUSUF AHMAD. That’s so nice to hear from you! A lot of people have been wondering whatever happened to the rather famous musician Lynn Hope after his last records. Maybe you could share some of your reminisces here? P.S. : You say that your father passed away in 1992, but the obituary was in february 1993. Can you clear this up?. P.P.S. : I truly love your father’s music! Hey Yusef its cousin Rob. Contact me bro. How have you been. My email is robwritesdavis@gmail.com. or check me on facebook at Minister Robert Davis. Love you man! I am interested in learning more about your stepfather, Bobby Walker. I maintain a music history website, http://www.redsaunders.org. You can reach me at the email address listed there. 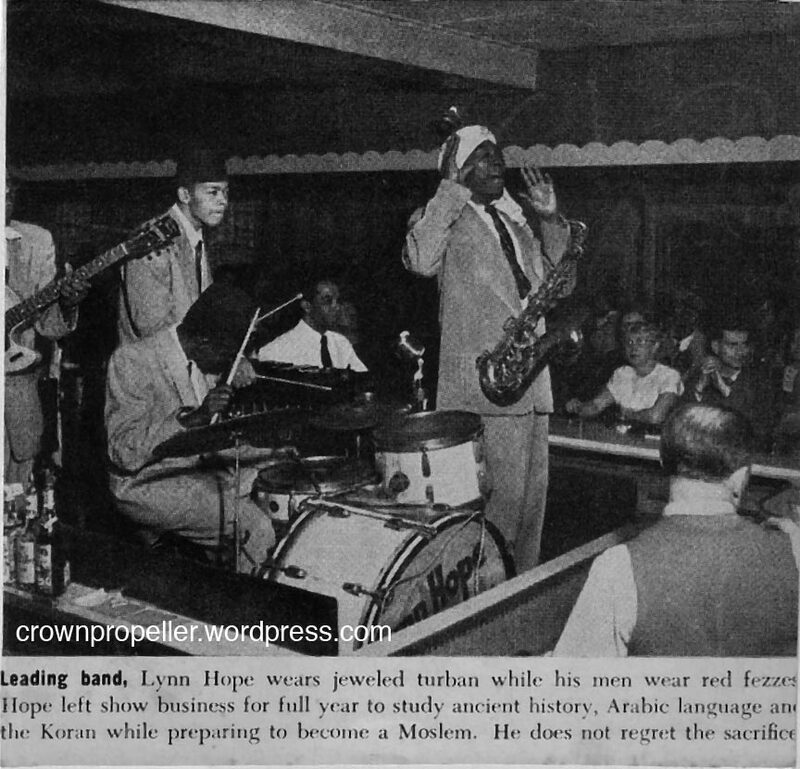 Theres a great story about a Lynn Hope show in Newark recounted in a book of short stories by Leroi Jones (who later changed his name to Amiri Baraka). The book is called “Tales” and I think the short story is called “The Screamers”. It’s an artful and insightful look into that world..